In a new study, researchers at the University of Pennsylvania have found a protein previously known to treat gum disease can also block relapses in mice with a condition very similar to multiple sclerosis. The jump from experiment on gum disease to investigating the effects of this protein, clinically referred to as Del-1, on MS began when researchers discovered that the protein plays a vital role in immune response within the body. Here at Southwest Portland Dental, your Southwest Portland Family dentist of choice, we want to let you know of all the latest in health and dental news. In research previously conducted by the team from Penn, researchers had discovered that Del-1 was absent in mice that were exposed to the mouse version of gum disease. This led researchers to being asking why. The immune system acts as the body’s defense mechanism against foreign invaders. When an invader is detected – whether an insect bite, bacteria, virus, or simple splinter – the immune system goes into action, sending cells to the area of the injury. Researchers discovered that Del-1 controls how immune cells accumulate and circulate throughout the body. When there are low levels of Del-1 – which was true for the mice suffering from gum disease – the response from the immune system can quickly get out of control. Without the system of checks and balances provided by Del-1, inflammation becomes chronic, which results in damage to gum tissue and underlying bone structure. When researchers injected Del-1 into the gum tissue of mice, they discovered that the infection cleared. This was a remarkable discovery, and researchers began to consider what implications this could hold for other inflammatory diseases. When they examined a variety of human tissues for Del-1 expression, they discovered that the brain expressed the most significant amounts of the protein. 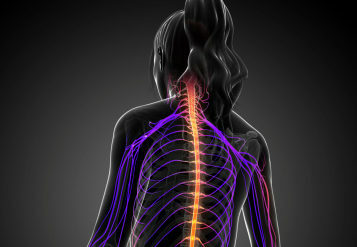 This suggested to researchers that Del-1 could play a significant role in the central nervous system. During their study, researchers discovered a genetic study by an independent team that had previously identified Del-1 as a potential risk factor for MS, however there have currently been no additional research that links the protein with the disease. Researchers examined brain tissue from both individuals with MS and those without the disease. They discovered far lower levels of Del-1 in the brain tissue of individuals suffering from the disease at the time of their death when compared to healthy individuals and MS patients who were in remission from the disease at the time of their deaths. Researchers also noted that mice that were exposed to the MS.-like disease also tested for lower levels of Del-1. To test their theory about what role Del-1 played on MS, researchers waited for the mice exposed to the MS-like disease to suffer a relapse, a time when protein levels would plummet. After injecting the mice with Del-1, the team noted that the relapses stopped and the mice suffer no more flare-ups. The results of this study provide researchers with the hope that controlling Del-1 levels could provide health care providers with a tool for combating both gum disease and MS.